Oklahoma City, are you ready for the toughest sport on dirt to return to your city? The PBR Express Ranches Invitational is teaming up the American Freestyle Bullfighters to put on the best show yet. Oklahoma City, are you ready for the toughest sport on dirt to return to your city? The PBR Express Ranches Invitational is teaming up the American Freestyle Bullfighters to put on the best show yet. This will be yet another opportunity for fans to witness man vs beast in some of the toughest challenges out there. Not only will you get the chance to witness your favorite bull riders go head to head against the top bulls in the nation, but you will also get to see some of the best bullfighters in the nation do what they do best. All of this action is going down at the Chesapeake Energy Arena in Oklahoma City, OK on both Friday, February 1 at 7:45 p.m and Saturday, February 2, 2019, 6:45 PM. On top of these performances, there are many other events going on around town that you need to check out! Location: OKLAHOMA CITY, OK | CHESAPEAKE ENERGY ARENA at 7:45 PM. Find your tickets here. This event is included with your PBR ticket and will take place during the performance. Be prepared for the next best sport on dirt! Looking for a great honky tonk bar? Head over to Western Nights after the PBR event, free entry with your PBR ticket! This event is located at 1164 N. Macarthur in Oklahoma and is right after the PBR Performance. 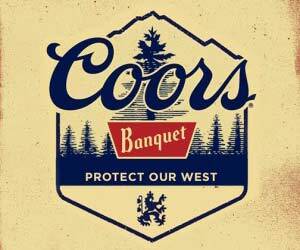 Western Nights bring you Steve Brack Live (full band) at the Official PBR after party on Saturday night at 9:30 PM. Free Entry with PBR Ticket! Legendary bullfighter Shorty Gorham, best known for his cowboy protection at PBR events, is reviving the forgotten sport of American style bullfighting and creating a new generation of stars with the formation ofShorty Gorham’s American Freestyle Bullfighting. Shorty has teamed up with PBR to be an additional event at select your stops. Oklahoma City is the second stop in their circuit. Last year, PBR rider, Ryan Dirteater was the champion of the weekend. It will be interesting to see if he will be able to snag that title for a second year in a row or if the Brazilian Cowboy, JOÃO RICARDO VIEIRA will take his third win in a row.